Arborist Sales Representative - Metropolitan Forestry Services, Inc. Calling all arborists, horticulturalists, landscapers, green industry professionals, and tree-lovers of all kinds. We are looking for an excellent Arborist Sales Rep. to join our tree care family. Someone who loves trees and is interested in helping to educate our clients about how to care for their trees and landscapes. Our focus has always been on education, safety, and science for over 40 years. We give our customers scientific based information to make the best decision for their trees, shrubs and landscapes. As all positions in our company, this position requires flexibility and the ability to wear many hats! You will be responsible first and foremost for all sales in within your defined territory. This includes all customer service and marketing to those clients. There are also administrative responsibilities as well as managing production, training and safety for your jobs. Weekly/Monthly/Annual Goal setting with management and ensuring those goals are met. Constant prospecting and reaching out to new and potential clients. Bringing great ideas and thinking outside the box. ISA Certification is a definite necessity. A degree in arboriculture, forestry, or a green industry-related field is preferable. 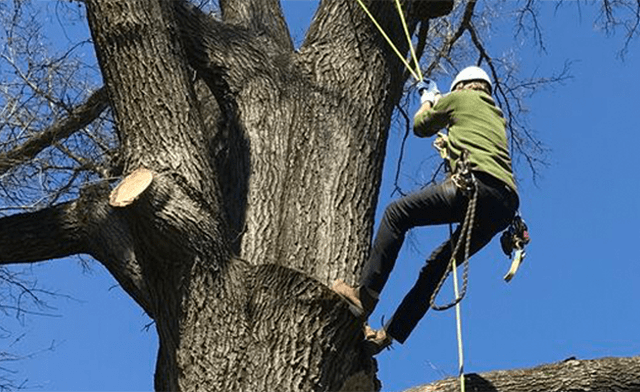 THE SCIENCE OF TREE CARE: Tree identification, tree biology, extensive knowledge of insects and disease are all extremely important aspects of this job – we can train in areas where you lack. Education is constant and ongoing. Excellent communication and listening skills are paramount. Leadership, positive attitude, a safety conscious mind and attitude, attention to detail and organizational skills. Life insurance that is deducted pretax with a company contribution. We offer a simple IRA with a 3% company match. We offer continuing education, training, and conference attendance to high performers. If you think you can make a positive contribution to our team, or would like more information, we require everyone to come onsite and fill out an application. If you are interested, please come in to talk with us! "Working for MFS is always fun and exciting. I get to do what i love and work with a great group of guys that are just as passionate about nature as I am."